Between 1887 and 1895 Eric Satie earned his living playing piano in Montmartre cabarets, notably at the Le Chat Noir where the other patrons included Claude Debussy and Paul Verlaine. 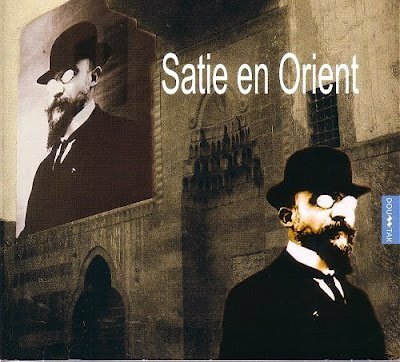 On my iPod during a visit to Paris last December was Satie in the Orient performed by the transcultural Ensemble Sarband. This presents Satie's music in performances by Eastern instruments judiciously augmented by Western forces. Satie's scores are respected almost to the letter, with the objective of creating not a fashionable musical fusion, but what an illuminating sleeve note describes as music that is "neither East nor West". 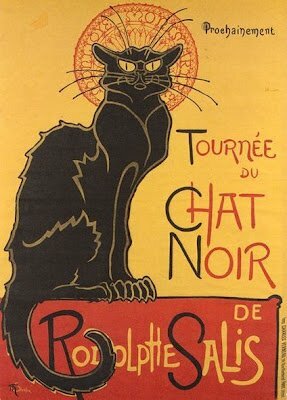 Le Chat Noir is on the hill in the north of Paris called La Butte Montmartre, and at the foot is Les Bouffes du Nord, the home of Peter Brooks' transcultural theatre group. In his essential biography of the director Michael Kustow describes how Brooks' theatre group is "not a swap-shop of skills and techniques, but... a culture like yoghurt, culture as fermentation". Classical music, which so often views transcultural projects as swap-shops of skills and techniques, can learn a lot from Eric Satie and Peter Brook. And it can also learn from another example of cultural fermentation that I experienced on the same trip to Paris. 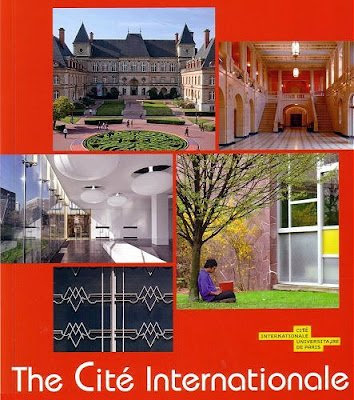 The Cité Internationale Universitaire de Paris was founded after the First World War by the visionary French statesman and humanist André Honnorat who believed that bringing students together from across the world would generate mutual understanding between peoples, and therefore peace. One of the main features of the Cité Internationale Universitaire campus are the residences built by celebrated architects including Le Corbusier, Willem Marinus Dudok, Heydar Ghiai and Claude Parent, see footer image. The campus is purely residential and provides accommodation for the main Paris universities; a culture of fermentation is created by mixing nationalities between the various national residencies. As happens so often, many paths and cultures converge here. Eric Satie shared with Peter Brook a fascination with mysticism: in 1890 he became the official composer of the occult Order of Rosicrucians and his Sonneries de la Rose-Croix features on Satie in the Orient. Ensemble Sarband appeared in my inter-cultural post and podcast about their Arabian Passion According to J.S. Bach. 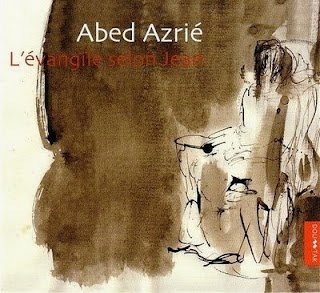 The CD Satie in the Orient is released on Doutak, which is the label of Syrian-born Abed Azrié whose transcultural setting of Gospel of St John has also featured here and is seen below. Eric Satie's music was, of course, a major influence on John Cage. In 1930 Cage arrived in Paris to study architecture. After spending time studying alone at the Bibliothèque Mazarine he went to work for the influential modern architect Ernő Goldfinger. Cage worked for Goldfinger for six months, during which time the architect was working on moving his practice to a new studio in the rue de la Cité Universitaire. My very generous host at the Cité Internationale Universitaire was North Carolina born and longtime Paris resident Adrian McDonnell, who previously collaborated with me to bring the music of his teacher Peter Paul Fuchs to a wider audience. Adrian is a trustee of the Cité Internationale Universitaire and music director of the Orchestre de la Cité Internationale. This training orchestra of young professional musicians from around the world, which bridges the gap between conservatoires and the major orchestras, featured in my 2010 post 'Playing the classical music name game'. While in Paris I attended the premiere of transcultural troubador Titi Robin's River Banks at the Institut du Monde Arabe and my earlier post about that concert quoted the Moroccan-born novelist Tahar Ben Jelloun, who is one of many celebrated figures to benefit from a residency at the Cité Internationale Universitaire. Tahar Ben Jelloun is also quoted in the book accompanying Mare Nostrum, the valedictory album from those great instigators of cultural fermentation Montserrat Figueras and Jordi Savall. That other great practitioner of cultural fermentation Peter Brook made an acclaimed film of eclectic mystic G.I. Gurdjieff's Meeting with Remarkable Men, and many remarkable men and women have appeared as we have followed the abstruse path of Satie in the Orient. Abstruse it certainly is, but all these remarkable men and women are linked by a belief which is under threat in our increasingly jingoistic age - a belief that, to quote the Sufi musician Kudsi Ergunner who worked with Peter Brook, "art, literature and music are beyond the concept of nation".